For over a month, Jonesport selectmen have been talking about clamming in an area in Indian River between the northeast end of Addison’s Crowley Island and Jonesport’s Parker Point that has informally come to be called the “Middle Ground.” Six years ago, the two towns entered into an agreement on harvesting the muddy bottom that is exposed on low-drain tides and has been known to yield four to five bushels a tide during the winter when other flats are inaccessible. Washington County Cooperative Extension (WCE) employees and supporters filled the seats of the probate court room at the county commissioners’ meeting held Thursday, Dec. 13. The meeting agenda included a vote on the proposed 2019 county budget, which contains a 50 percent cut to governmental third party funding. The WCE, Soil and Water Conservation District and the Resource Conservation & Development Program are all affected by the cut. The WCE requested $40,000 from the county and was approved for $20,000. Many thousands of unpaid Maine caregivers save the state a staggering $2.2 billion annually yet remain financially uncompensated. Juggling multiple roles and a myriad of daily demands, as they grow in number they now have come to be known as the “sandwich generation.” The title refers to their unique occupation among generations so far that spans caring for their children while also caring for their elders, usually parents but not always. Past generations housed extended families and mobility and miles were not as relevant. 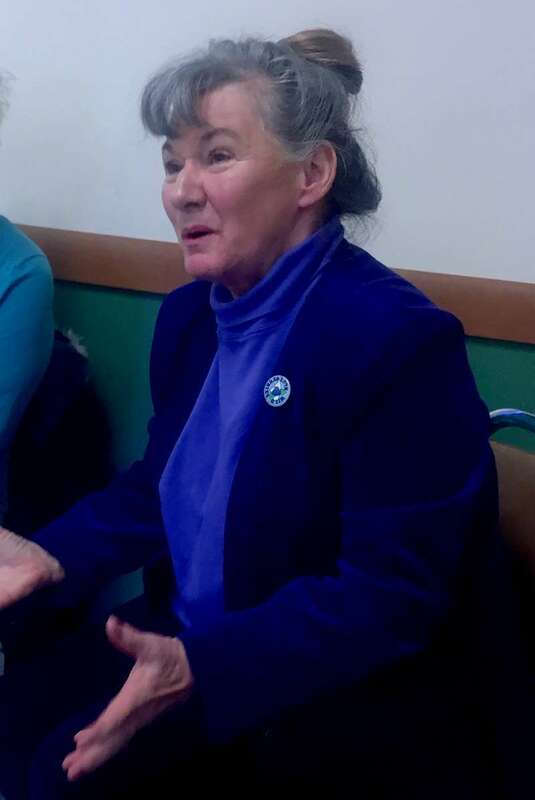 The Machias Police Department has received numerous complaints of a telephone scam where the caller says they are the grandson or granddaughter of the person they’re calling, then asks for money. After Maine’s historic adoption of the Ranked Choice Voting [RCV] system earlier this year, its constitutionality has been formally put to the test in the federal courts. A lawsuit by Republican Bruce Poliquin was issued following his loss in the race for Maine’s 2nd seat in the United States House of Representatives to Democrat Jared Golden. U.S. District Court Judge Lance Walker struck down Poliquin’s complaints and upheld RCV in Maine. 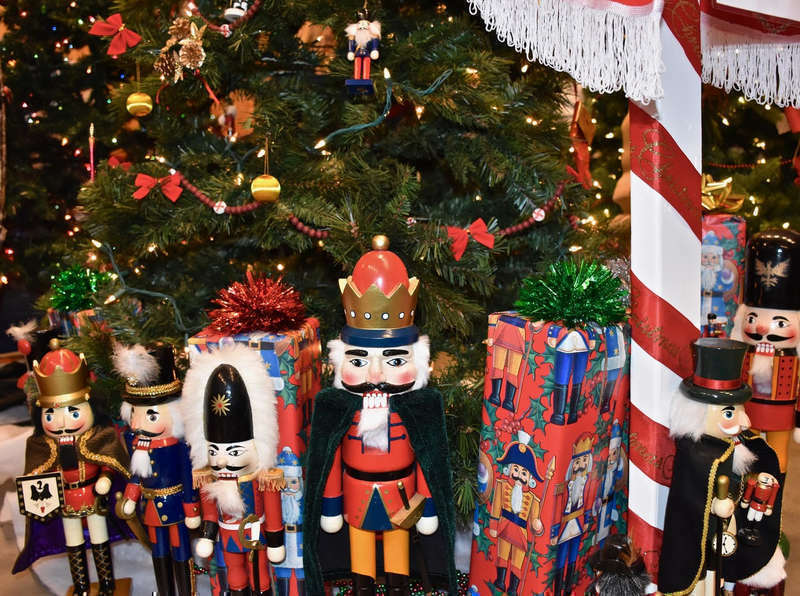 The Lee Pellon Center was quiet on Monday morning, with sunlight streaming in on 55 empty tree boxes and dozens of undecorated Christmas trees waiting to be packed away by volunteers. But Friday, Saturday and Sunday were a different story altogether. Unusually long lines of voters delayed the start of a town meeting held in Machias on Wednesday, Dec. 5. More than 100 Machias residents and 30 non-residents attended the meeting, held to discuss and vote on the town’s proposed medical marijuana ordinance. As is customary, the non-residents lined the bleachers of the Machias Memorial High School gymnasium, leaving a clear view to the Machias voters seated in rows of chairs down the middle of the room. Many millions have been allotted to bring Maine’s transportation infrastructure up to par, but most of those voter-approved bonds have yet to be sold. Meanwhile, although Maine may have a debt obligation that’s low compared to other states, it can no longer ignore infrastructure goal lists that have barely moved over the last six years. As of 2017, the state was 70 percent toward its goal of making 1,400 miles of priority highway miles serviceable by 2022. The EPA has issued an update on N’tolonapemk, also known as the Eastern Surplus Superfund site in Meddybemps. The site was used for a storage and salvage yard for decades before being declared an environmental Superfund site, meaning it had high levels of toxicity and was thus a high priority for the governmental organization to remediate. The process of environmental remediation has been successful and its end is in sight, depending on how well the most recent efforts are received by the land. The final meeting of the Washington County Budget Committee took place in Machias on Tuesday, Dec. 4 and the 10-member committee spent two hours in negotiations. 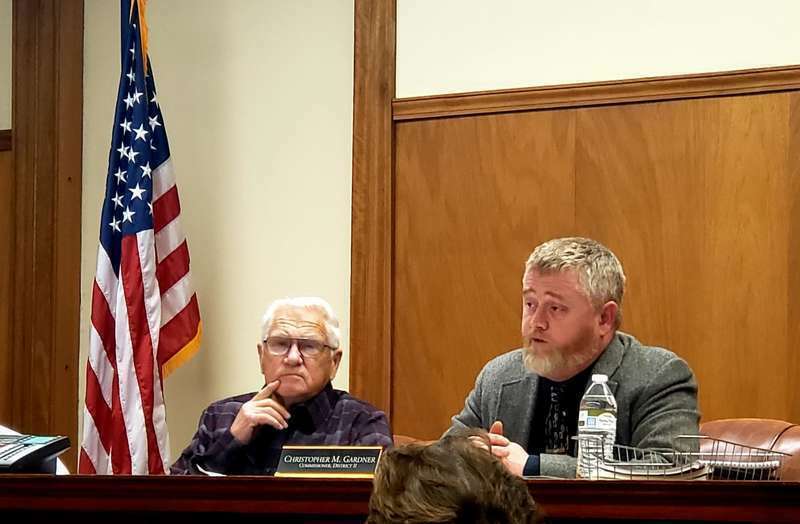 Led by committee chairman Lewis Pinkham of Milbridge, the committee ultimately passed a budget that includes a near-zero increase of .1306 percent, but still includes the addition of three sheriff’s deputies. The budget will now return to the three county commissioners for their approval. Local businessman Bill Burke presented to the Machias Board of Selectmen at their bi-weekly meeting held Wednesday, Nov. 28. Burke is the owner of Pat’s Pizza and the founder of the Downeast Lobstah Drop, which will take place on New Year’s Eve for the fourth time. Burke said that this year the indoor kids’ activities will be held in the gymnasium of the Rose M. Gaffney Elementary School. Burke is also talking to law enforcement and hopes to bring a demonstration of drug dogs to the event. 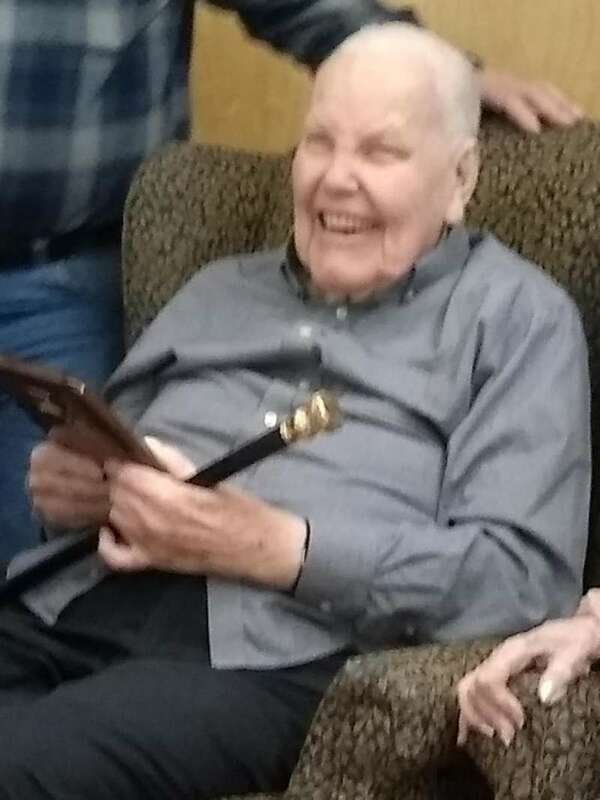 In addition to having been a founder and president of the Jonesport Historical Society, past-president of the Greenwood Cemetery Society, retired merchant mariner and local historian, Donald Woodward was Jonesport’s code enforcement officer before his tragic passing last month after a battle with cancer. Last week, Jonesport selectmen struck a deal with a long term fill-in for the code officer position. Local author and life coach Lanette Pottle is making new strides in putting Washington County on the map of personal empowerment with the publication of her newest book, Small Steps Big Impact. 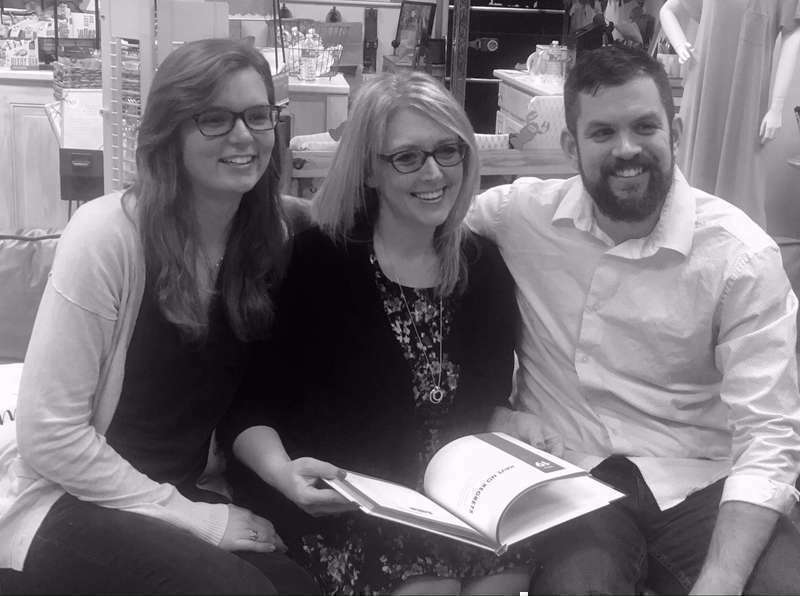 In the creation of the book, Pottle collaborated with two other Washington County women, Laurel Robinson and Ashley Hinson Dahkal, and simultaneously developed her own publishing enterprise: Positivity Lady Press. 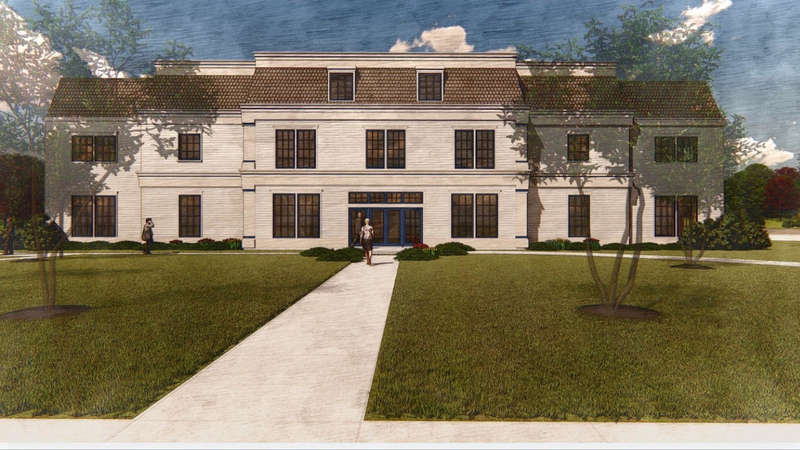 The Machias Planning Board approved a $4M construction project request from Machias Savings Bank at their regular meeting held Wednesday, Dec. 5. Marie and Dell Emerson have been involved with wild blueberries for decades. For nearly 50 years before his retirement, Dell ran the experimental farm on Blueberry Hill in Jonesboro. The couple owns a 40-acre farm of their own at Wescogus Corner in Addison and manages other growers’ fields and buys berries from still others. They furnish berries for the fresh pack market and, after the harvest in August, sell fresh-frozen berries in bulk from their home. Unusually long lines of voters delayed the start of a town meeting held in Machias on Wednesday. Dec. 5. More than 120 Machias residents and 30 non-residents attended the meeting, held to discuss and vote on the town’s proposed medical marijuana ordinance. As is customary the non-residents lined the bleachers of the Machias Memorial High School gymnasium, leaving a clear view to the Machias voters seated in rows of chairs down the middle of the room. 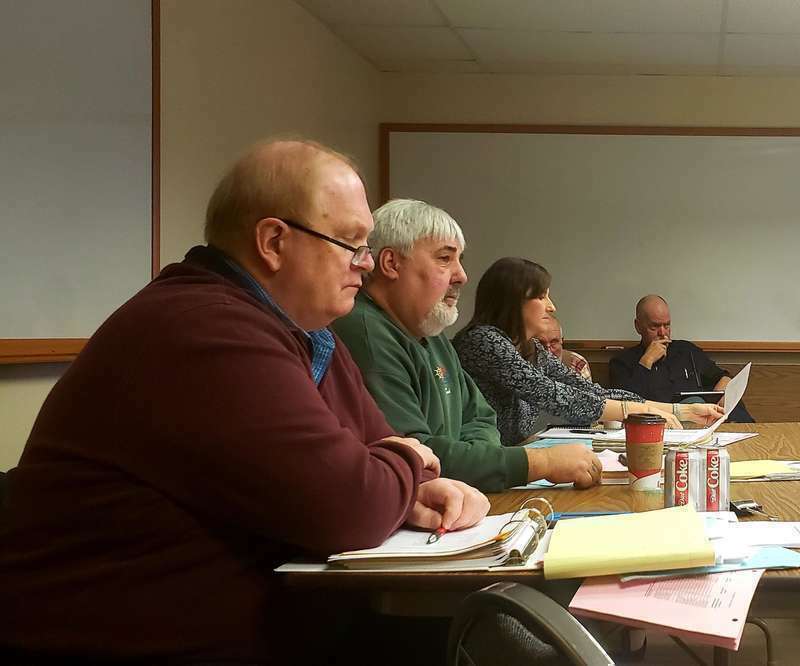 The final meeting of the Washington County Budget Committee took place in Machias on Tuesday, Dec. 4 and the 10-member committee spent two hours negotiating. Led by committee chairman Lewis Pinkham of Milbridge, the committee ultimately passed a budget that includes a near-zero increase of .1306 percent, but still includes the addition of three sheriff’s deputies. 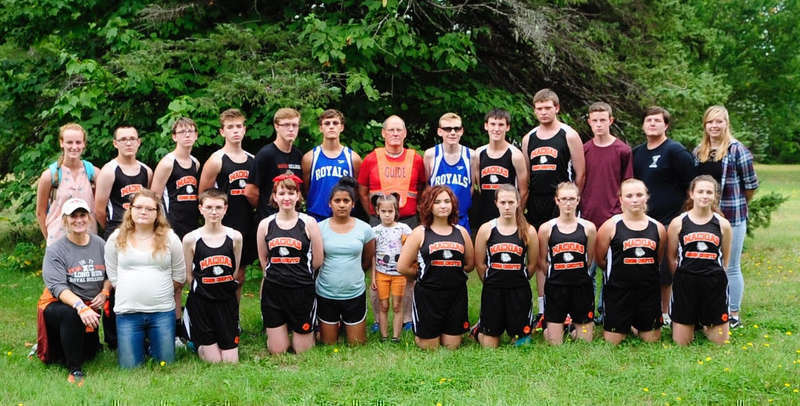 When students approached Cindy Moore-Rossi and asked her to coach their cross country running team, she wasn’t even a runner herself. “There were four kids that wanted to run and they were told the program would fold if they couldn’t come up with a coach,” she said. At the time Moore-Rossi was working at Machias Memorial High School as a special education ed tech. The boat that sank out from under Beals lobsterman Josh Kelley and his sternman last month seven miles outside of Moosepeak Light was a 42-foot Novi-style boat that Kelley purchased in Lower Woods Hole, Nova Scotia in 2014. She was built by Stanley Greenwood, or “Chainsaw” Greenwood as he is familiarly known because he uses that tool for finish work. 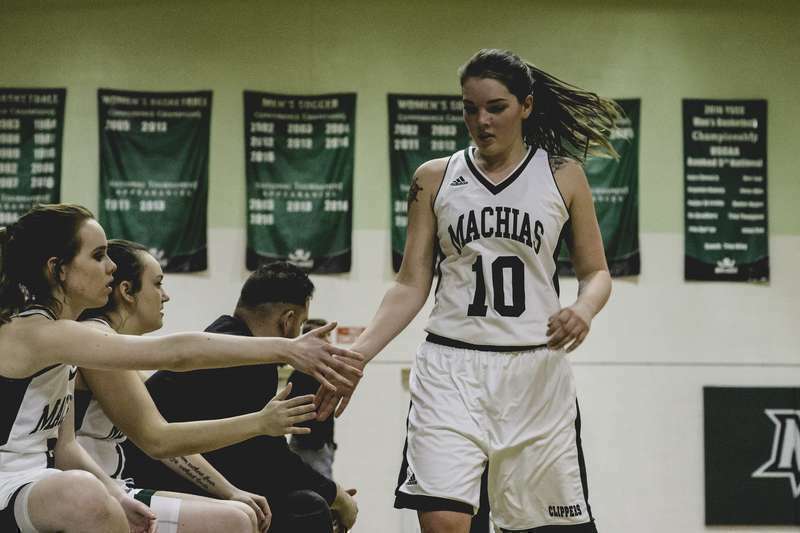 On their way to last week’s game, the University of Maine at Machias women’s basketball team anxiously awaited the latest USCAA power rankings. Coach Troy Alley had predicted their strong 6-2 record would land them in the national top 10, but when the rankings came out he heard they were actually number three. After a hiatus due to weather events, the Washington County Budget Committee convened on Thursday, Nov. 29 for what could be its next-to-last meeting this year. The 2019 budget process has taken longer than usual owing to a debate over the proposed addition of three deputies to the Washington County Sheriff’s Office. 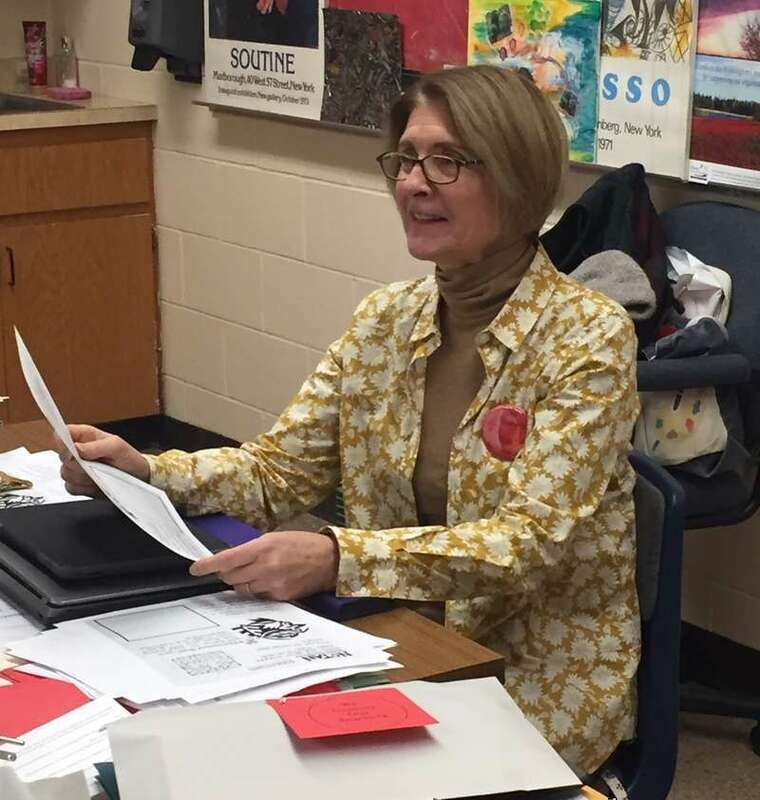 Teachers in Union 103, the school unit that includes both elementary schools and the joint high school in Beals and Jonesport, are seeking a change in the 25-step pay scale under which the district has operated for years. Negotiations started last winter and, instead of lasting the usual couple of months and centering on the increase in pay and benefits, are snagged on a different issue which, teachers say, affect not just money, but their professionalism and the ability of the schools to attract and retain good teachers. A Pembroke family escaped major catastrophe this past week following a fire that began in a vehicle parked between their home and their shed with only a few feet on either side as a buffer. 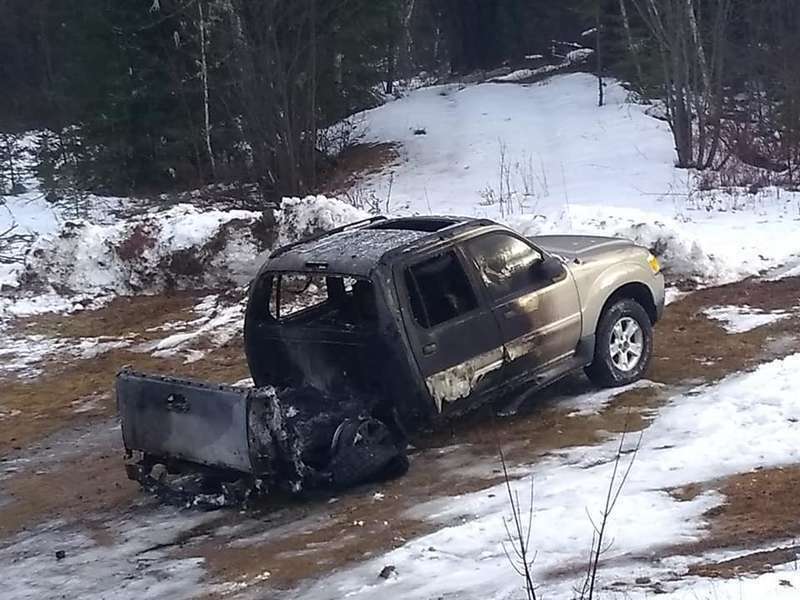 A seemingly spontaneous fire ignited the Lingleys’ 2005 Ford Explorer Sport Trac in the morning of Wednesday, Nov. 28, but firefighters contained the blaze before it could spread. Health insurance for 70,000-plus Mainers may be the law of the land, but lawsuits and excessive legal postponements have prevented it from happening for over two years. The latest date for possible positive action is December 5. Is it really “poisonous” for parents to compare student test scores in their local school district to test results in other districts across the state? I don’t think so. But then, I’m not a credentialed education professional with advanced degrees, earning $80K or $90K toiling in the government school monopoly swamp. The East Machias Board of Selectmen held an emergency meeting on Tuesday, Nov. 27 to discuss the matter of a burned property located on Route 1. Deputy Code Enforcement Officer Brodie was also in attendance. Selectman Will Tuell read from a document drawn up by the town’s legal council, Bryan Dench of Skelton Taintor & Abbott. In it Dench states that because the property owner has not picked up certified mail and has been non-responsive, the town is within its rights to adopt a resolution. The Machias Green Team worked all summer weeding, planting and watering to beautify flower beds around Machias, but what they’re really hoping will blossom is a sense of hometown pride. New decisions and old issues will mix this time around with new and returning legislators as the 129th session prepares for a potpourri of challenges ahead. Editor's note: This article has been updated to clarify that the existing medical marijuana storefronts in Machias are not grandfathered to continue operation. If the town votes no on medical marijuana, the five existing medical marijuana storefronts will have to close, per Town of Machias legal counsel. More than 40 people turned out for a Machias public hearing on Monday, Nov. 19 to learn about the town’s proposal for governing medical marijuana. The U.S. Coast Guard Northeast District used Twitter to break the news that the F/V Overtimer sunk 11 miles off the coast of Jonesport on Sunday, Nov. 15. Josh Kelley of Beals is the F/V Overtimer’s captain and Phillip Kilton is its sternman. The boat was loaded with lobster traps and when it took on heavy waves, it began to sink. The two-person crew donned survival suits and according to a USCG spokesperson got into a life raft before being rescued by F/V Bad Behavior, owned by Richard Smith of Beals. The following excerpts from one of this paper’s antecedents, The Machias Republican, tell the story of a devastating fire that took place at the Centre Street Congregational Church and the subsequent rebuilding. The church is still located today on the corner of Court and Centre Streets in Machias. Editor’s note: The names in this heartwarming story of “paying it forward” have been changed, but the facts are unaltered. 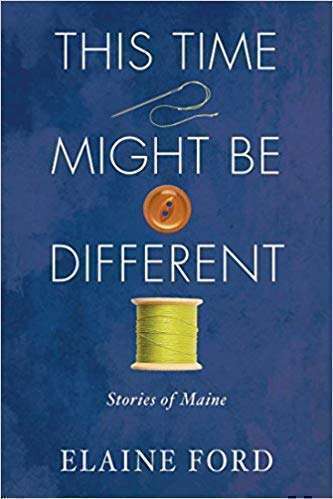 This took place last week, and the author lives in the Machias area. As we approach once more the celebratory holiday season, I thought a word of caution might be in order. 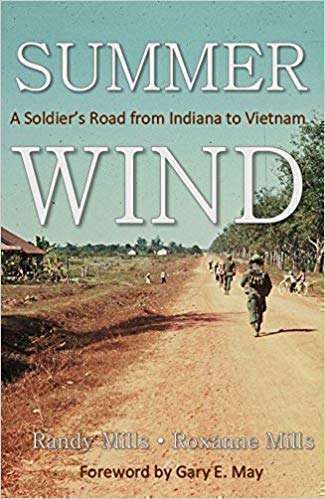 A Machias friend, Laurel Robinson, the proofreading editor, suggested I might read this excellent biographic story of a time which we all would rather forget - Vietnam. Here is a tough chunk of our country’s history we would all do well to remember! Will Machias Bay Chamber Concerts survive to celebrate 50 years? 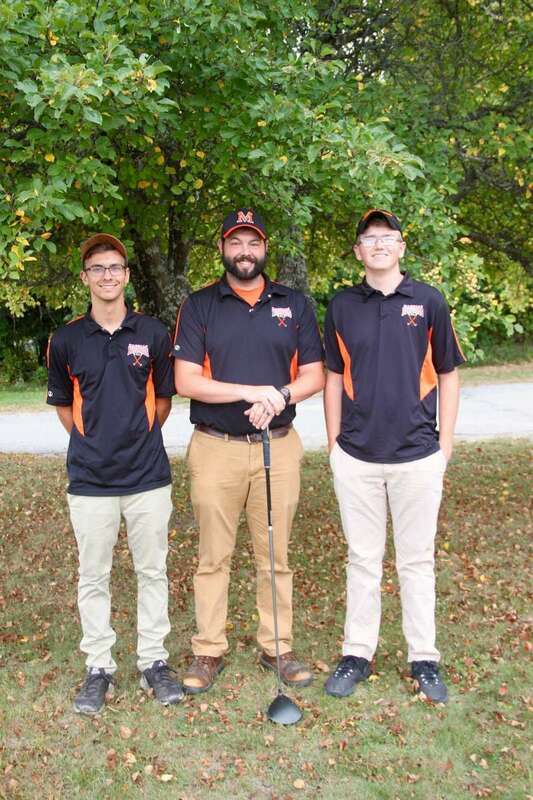 Both members of the Machias Memorial High School golf team ranked in the top five of all players in the Downeast Athletic Conference, making MMHS senior Evan Dray and junior Jacob Sinford DAC Golf All-Stars. Coach Tony Roy said both students have played golf for all of their respective years in high school. From 12 needy children to over 12,000, it’s taken Rhonda French 34 years to achieve a giving miracle of leading by example. Speedy wreathing is something Farrington appreciates as the owner of Machias Bay Wreath, a business he founded in 2013 at the age of 20. 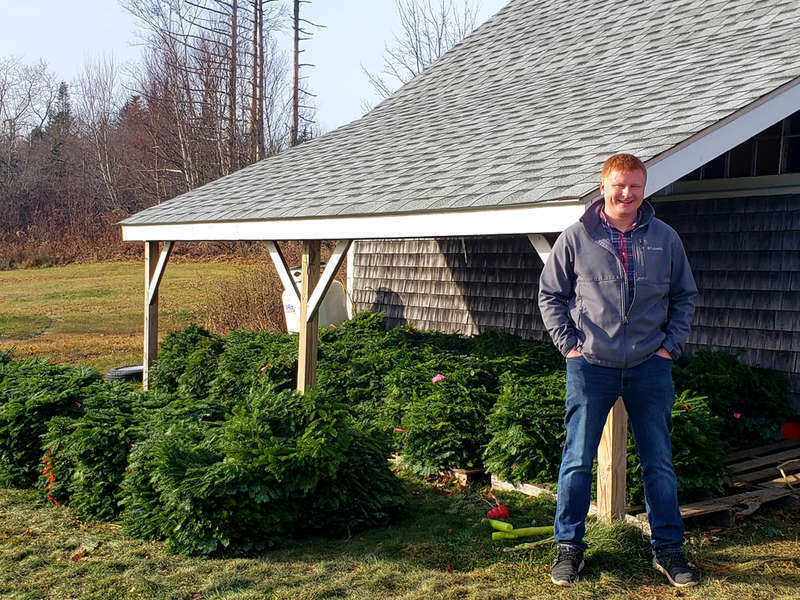 Employing about 18 people this year, Machias Bay Wreath will produce thousands of wreaths for wholesale and retail customers before the season ends mid-December. The separate school boards that govern the two elementary schools and joint high school in the Moosabec region met this month, and sports was much on the agenda. At the November 14 meeting of the Moosabec CSD, which oversees Jonesport-Beals High School, the board voted unanimously to join the Penobscot Valley (Athletic) Conference (PVC). Cora Proctor was born on Thursday, March 4, 1909, in the Larrabee District of Machiasport. 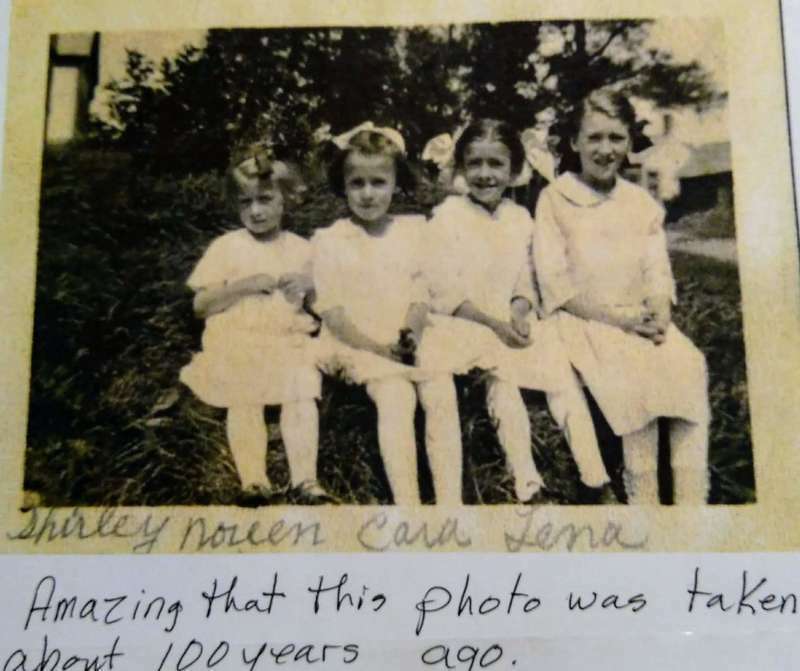 According to her birth certificate, her parents had eleven girls and Cora was child number nine. 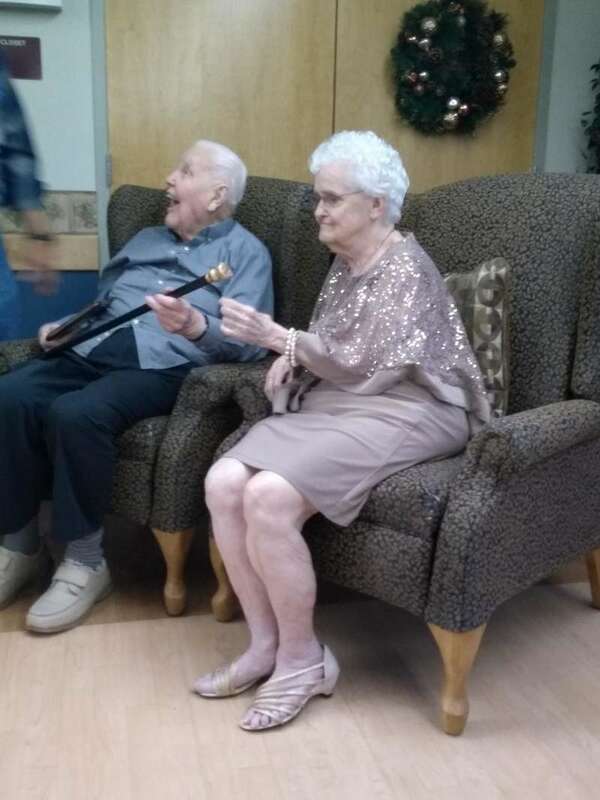 Last Saturday a celebration of her life was held at the Larrabee Baptist Church and Cora Proctor Quimby returned home to Larrabee at the age of 109.